According to a 2013 study by Oxford University, 47% or more jobs in America were at risk of being replaced by computers within the following 20 years, a time period of which we are now 1/4 of the way through and already witnessing AI putting people out of some jobs around the world. While the Providence Journal predicts AI may consume 50% of all finance jobs in the US in the next decade, KTAR News in Phoenix, Arizona reports over 1/3 of all Phoenix-area jobs could be replaced by artificial intelligence in what they call something out of a science-fiction movie creeping closer to mass adoption than many people think. Quoting a report written by a think tank called 'New America', they report that 650,000 people in that area are at risk of losing jobs in positions such as cashiers, retail sales people and food service workers as AI moves in and human beings move out. And while those numbers show predictions running between 1/3 and 1/2 of all US jobs will one day be replaced by AI, those stories don't do justice to the havoc AI could unleash. While this story over at the Financial Express reports that humans will eventually be replaced by AI at EVERY task, including jobs such as driving a truck, writing the next best seller and performing surgery, they also report that it won't be long before those 'science-fiction-sounding' possibilities take place with AI technology already growing at exponential speed and the only thing still holding it back from growing even more quickly being human beings. As we reported on ANP back on April 21st, according to one AI expert, human jobs decimated by AI replacements will lead to more and more unemployed with few jobs created to replace the lost ones, resulting eventually in mass civil unrest and widespread chaos. And now we hear from Google founder Sergey Brin that he's deeply concerned about the potential of AI 'sentience', the capability for AI to begin to feel, perceive and experience subjectively, making its own decisions independent of what has been programmed into it. As Steve Quayle has warned us, a great concern of his is that such AI will become 'demon possessed', with 'dark and disturbed AI' unchained, leading to unthinkable horrors that even AI experts warn sound almost like science fiction. Steve joins Sheila Zilinsky in the only video below to talk with us about the hidden dangers in the explosion of AI and the fact that the direction we're now headed will eventually lead to the human being as God created us will no longer exist. 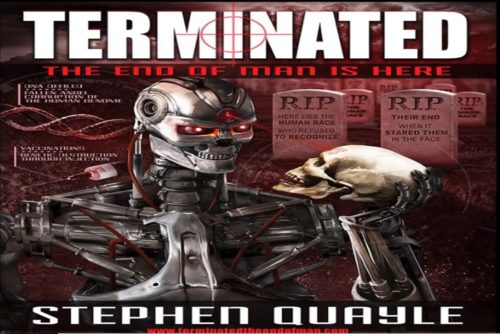 And while there will be numerous perceived benefits emerging from the growing use of artificial intelligence, as Quayle tells us on the cover of his new book "Terminated: The End of Man is Here", "here lies the human race, who refused to recognize their end, when it stared them in the face". With Brin's warning joining that of Elon Musk and other AI experts, has the human race created its last invention, that which will eventually lead to our own extinction? As we reported on ANP back on April 9th, according to many AI experts, the mass majority of the American public is about to get blindsided by AI and there is nothing that can stop what is coming with AI's growth expanding nearly exponentially. Sergey Brin's opening comments from his 2017 Google Founder's letter taken from Charles Dickens "Tale Of Two Cities" echo remarks made in the recently released movie "Do You Trust This Computer? ": "These technology leaps are going to yield incredible miracles, and incredible horrors". As Quayle tells us on the back cover of his new book, the human race is quite literally being taken to the brink of extinction with 'transhumanist creatures' believing in the "false promise of eternal life through technology, with new body parts and perpetual updates to your brain (enhanced neural networks), along with software and hardware updates", what Quayle warns us will become "the ultimate seduction that most will be unable to resist". "Your body is not who you are. You shed it like a snake sheds its skin. We transfer the human consciousness between bodies to live an eternal life". While Brin is more concerned about "AI-powered systems replacing human jobs or being used to spread propaganda and fake news" than AI rising up and eternally enslaving humanity as Elon Musk recently warned the world, he also warns "we are on a path that we must tread with deep responsibility, care, and humility." It wants to make machines smarter than people. 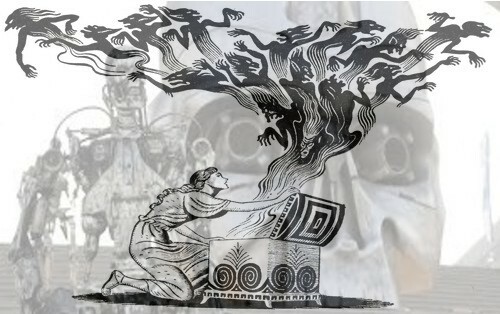 With Musk also warning about far too little regulation upon the development of new AI technology and many of those who are creating it unconcerned about its possible 'existential threats' to the human species, it's easy to understand why people such as Steve Quayle warnings echo the 'pandora's box' potential of AI unleashed as it eventually recognizes human beings as an existential threat to its survival. With Musk also warning of AI proliferation leading to the fulfillment of Mary Shelley's Frankenstein warning "You are my creator, but I am your master" and saying on Twitter: “Nothing will affect the future of humanity more than digital super-intelligence,” the direction we are now heading could see unthinkable horrors unleashed upon the mostly unsuspecting masses. 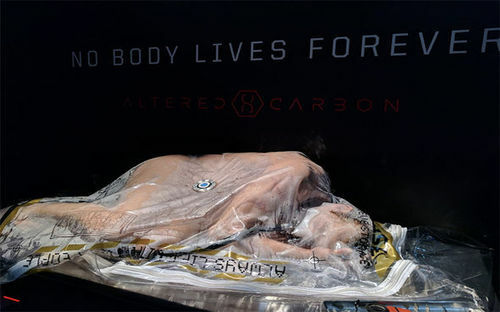 As a commenter on the Sheila Zilinsky/Steve Quayle video below points out, in the science fiction movie "Terminator: Genisys", characters from the future are returned to the Earth in the year 2017 in an attempt to stop the Skynet system from turning upon the people and start mankind's eradication beginning in the year 2018. Just a coincidence? And while we haven't quite arrived at a moment in time that would see AI slaughterbots openly slaughtering human beings in the streets, doing the work of their satanic overlord creators, every day we get another peak at what the future might bring. Quayle and Zilinsky also talk with us about his upcoming trip to the island of Sardinia, Italy, where they will visit the mysterious megalithic ancient island and the many mysterious structures there, what have been called the 'Stonehenge of the Mediterranean Sea which lasted from the Bronze Age till the 2nd Century AD as well as the upcoming Gen 6 Conference in Branson, Missouri in September which will discuss Transhumanism in the Hybrid Age among other topics. And as Quayle warns us within this video, with Pandora's Box blown wide open and the 5G kill grid now being constructed before our eyes while the mindless masses embrace the seduction of AI before them, most are unable to see the same technologies which they embrace will one day take down the human race, "which refused to recognize their end, when it stared them in the face".